Being a traditional based style, we do wear a uniform (called a gi). Beginners, however, are welcome to try classes for a few weeks before purchasing a gi. Track pants and T-shirt are appropriate attire for beginners (please make sure no offensive or inappropriate images / wording on clothing). For safety reasons, all jewellery must be removed prior to training. Jiu jitsu involves a fair amount of close contact, so we ask all participants to practice good personal hygiene, and avoid make-up and perfumes for training. 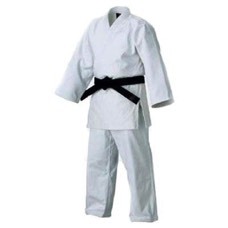 The standard uniform is a plain white judogi, with no logos. Please contact your instructor if you wish to purchase a uniform.